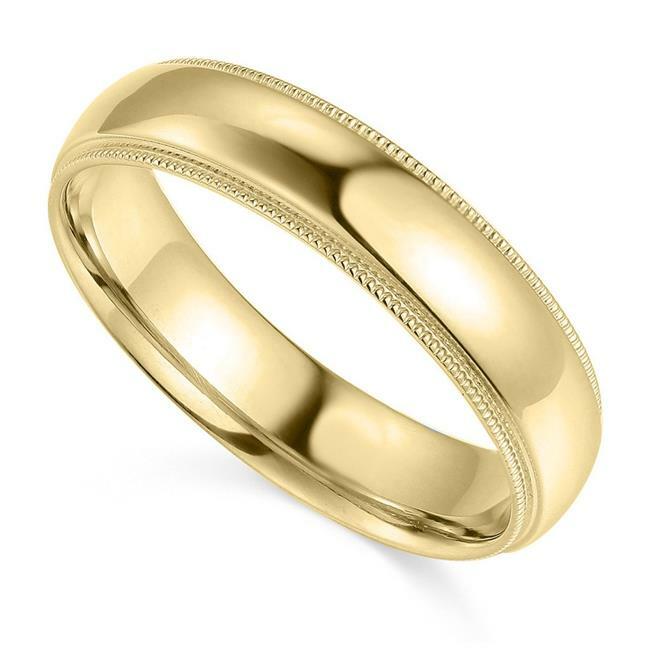 The perfectly round band an ancient symbol of betrothal and matrimony is perfected in this 5-mm, 14k yellow gold wedding band. Both womens and mens sizes from 4 to 12, this polished wedding band is a lovely display of a classic design in the best quality. The slightly-rounded ring is finished with a comfort-fit, making the inside of the band also slightly domed resulting in a generous and comfortable fit.